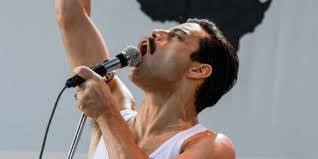 The incredible success of the Bohemian Rhapsody biopic showcases the legendary voice of Freddie Mercury. His FOUR-octave range places him among the most gifted vocalists of the twentieth century, including Pavarotti, Callas, Sinatra, Houston, and many others. But unlike those other leading lights, there has been a significant amount of debate among fans, musicians, academics, and scientists about WHY his voice was able to do the amazing things it could do. Freddie’s thoughts on the matter were clearly explained in the recent film: "I was born with four additional incisors. More space in my mouth means more range.” Even the most cursory examination of photos of Freddie reveal that he had a significant overbite. He was self-conscious about how it looked, developing a habit of speaking with one hand raised to cover his mouth or turning his head to hide his teeth. Despite his extreme sensitivity about the issue, he never had his overbite corrected fearing it would change his voice. The source of his unrivalled vocals has been debated for years--and finally a team of European scientists studied the issue closely to determine how those sounds were created, the results published in Logopedics Phoniatrics Vocology. They left no stone unturned in their search, analyzing countless recordings and hours of interviews, speaking to vocalists and coaches who worked with him, and finally lowering a camera down the throat of a professional singer who had similar vocal characteristics to Freddie to film what was going on as he produced certain notes. Their findings were more astounding than the popular theories making the rounds. Despite doing the vast majority of his performances as a tenor, Freddie was actually a natural baritone, moving easily through the ranges to sing as a soprano as well. The researchers could not confirm he had a full four-octave range, but his proven vocal range extended from bass low F (F2) to soprano high F (F6) and could also get up to tenor high F (F5). 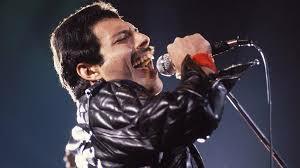 While there was evidence that the full four octaves were available to Freddie, the researchers did not think the recording quality was good enough to scientifically confirm that finding with confidence. If all those terms don’t make things clear to you, they basically mean that Freddie Mercury’s range spanned from Leonard Cohen to Whitney Houston with ease. But it wasn’t just his massive range and vocal discipline that made him so uniquely successful. The scientists discovered that Freddie could move his vocal chords faster than almost anyone else in music, well beyond human norms. While a typical vibrato will fall between 5.4 and 6.9 Hz, Freddie’s was analyzed at 7.04 Hz. For comparison, if Luciano Pavarotti’s vibrato is charted as a wave with a value of 1, Freddie’s charts have an average value of 0.57. What does this mean? Freddie was moving his throat much faster in addition to moving more parts of his throat than what the opera legend could achieve! 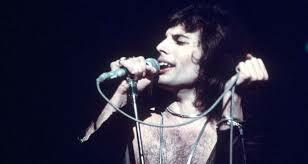 Further analysis proved that Freddie produced those low growls and unrivalled vibratos using more of his throat structures than any other singer in western culture. In addition to the notes he hit, he used subharmonics, a singing technique where the ventricular folds vibrate along with the vocal chords. Most humans never speak or sing using their ventricular folds, and the only time the sound is usually heard is from specially trained Tuvan throat singers. Freddie was effectively performing with an entire extra instrument--it was almost unfair. While it wasn’t in fact his teeth that produced his trademark voice, there were concrete physical reasons that Freddie Mercury was the most talented rock vocalist of all time, and his voice compares favourably, and often outshone even the finest classically trained performers. Mystery solved! Fascinating, Kim. And listening to that album, there are points where his voice (and notes) is/are easily recognizable--especially when you know who is singing. So sad that the world lost such a talented singer. What a great story, Kim -- as a big music lover, I was fascinated with this discovery. Thanks for posting! Terrific question, and terrific story leading up to an answer. I have Bohemian Rhapsody in our queue, and now I'll enjoy the movie even more. Thanks, KJ! I LOVED this Kim! I sent it to my musician son who is a big Queen fan (well who isn't?). Great post! Wow that is really interesting! I find it amazing that scientists can determine all that.